Yale sees the new design as a major contribution to increasing operator productivity in applications involving a combination of, for example, lorry or trailer loading and unloading, cross-docking, transport over longer distances and extended or multi-shift work cycles. The innovative seat system is just one of many ergonomic features which will help operators do a better job. 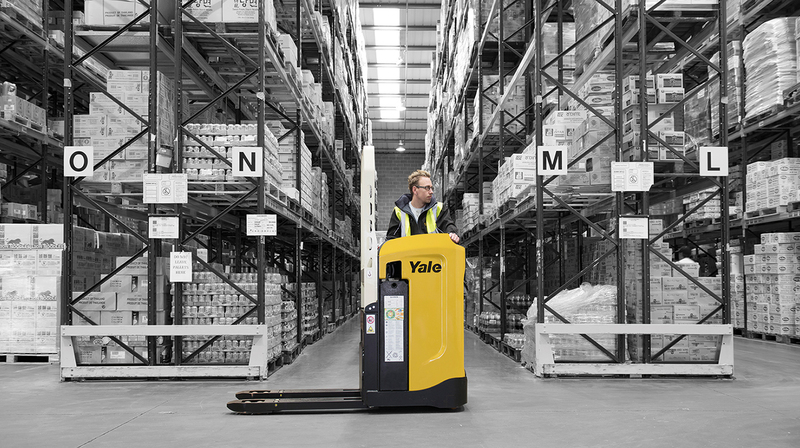 This entry was posted in Design Process, Electric, Ergonomics, Innovation, Pallet Trucks, Warehousing and Distribution and tagged Affordability, Cold Stores, Cross-docking, Dependability, Electric, Ergonomics, Innovation, Manoeuvrability, Manufacturing, Materials Handling, Operator Confidence, Productivity, Storage Rooms, Yale. Bookmark the permalink.